Digital out-of-home continued to grow in 2013 – and it doesn’t look like slowing down in 2014. With lower prices and greater ease of use, the market is expanding into areas that perhaps wouldn’t have considered digital signage as an option before. Compared with traditional advertising mediums, such as TV, radio or the internet, DOOH has been able to offer brands more control over their content and a better idea of the exposure they have. The interactive capacity of DOOH, as well as its ability to gather information through facial recognition and mobile technologies, puts it firmly on media planners’ maps. Talon’s chief executive Eric Newham calls it ‘face time’, in that it allows advertisers to choose who they talk to directly. Richard Blackburn, commercial director at MediaCo, agrees with this suggestion: “The hottest trends in digital signage are currently facial detection and touch. Facial detection is not, in itself, changing the role of digital signage, but it does add another dimension for advertisers seeking to better understand how people react to creative engagement. This ensures that brand content not only evolves over the duration of the campaign, but also delivers relevant content to people. The digitisation of OOH cannot be stopped and management tools for this fast and flexible medium are essential. 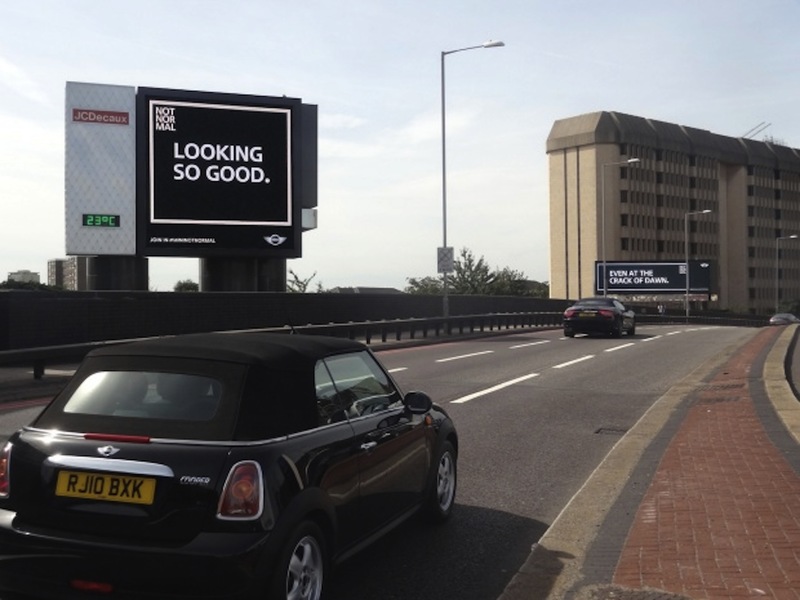 Mike Dillon, director of Key Systems, opines: “Having seen the growth of digital assets amongst our traditional OOH clients, we know that the industry needs flexible and robust asset management tools. Cremins attributes this trend to the simplification of end-user devices deployed for digital signage purposes, including Samsung Smart Signage and Android devices. Installation and maintenance of these digital display systems are so easy that AV resellers might need to rethink their strategies. In terms of content, the move to HTML5 for media playback has encouraged other sectors, such as web designers, to create dynamic passive and interactive content and applications for digital signage, while the uptake of Android has helped hasten the spread of DOOH. Content also poses a challenge in ultra HD, or 4K. The industry seems positive about its emergence but, due to the lack of components, content and the current cost, we will wait a while before we see it fully implemented across the DOOH spectrum. For 2014, we can expect to see more fully integrated digital signage, in terms of hardware and software. Incorporating NFC, touch-less interactions and brand message personalisation will be a must. DOOH will also cease to be a separate category for advertisers, as it begins to lead the way on media planning.